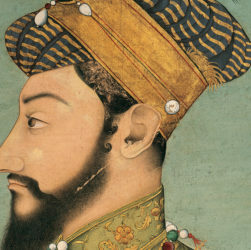 Mughal Emperor Aurangzeb: Bad Ruler Or Bad History? Of all the Muslim rulers who ruled vast territories of India from 712 to 1857 CE, probably no one has received as much condemnation from Western and Hindu writers as Aurangzeb. He has been castigated as a religious Muslim who was anti-Hindu, who taxed them, who tried to convert them, who discriminated against them in awarding high administrative positions, and who interfered in their religious matters. This view has been heavily promoted in the government approved textbooks in schools and colleges across post-partition India (i.e., after 1947). These are fabrications against one of the best rulers of India who was pious, scholarly, saintly, unbiased, liberal, magnanimous, tolerant, competent, and far-sighted. “Quod Licet Iovi, Non Licet Bovi”: Why A Different Yardstick For Muslims? In the post-9/11 era the Western media are at the forefront of a highly orchestrated assault against Islam and its people. So, I am not too surprised with the Times Online piece trying to raise storm over some 13th century text that are taught at a Shi’ite religious school in London. The subject in question is najasa or impurity: what makes something impure according to Muhaqqiq al-Hilli, a 13th century Shi’ite scholar. The text says, “The water left over in the container after any type of animal has drunk from it is considered clean and pure apart from the left over of a dog, a pig, and a disbeliever.” So, the Times reporter Sean O’Connell draws the conclusion that Muslim students are “being taught to despise unbelievers as filth”, which becomes the news heading, sure to draw much publicity in UK before the election in May.